Luminar Technologies, a startup based in Silicon Valley, announced that it has developed a lidar that is more powerful than other lidars that are available in the market today. Lidar is an important component of the autonomous vehicle and acts as a replacement for the human eye for self-driving cars. According to Luminar, its lidar can “see” farther than 200 meters at less than 10% reflectivity – a measurement of how a thing readily reflects light. The company said the lidars that are available in the market today can only see 30 to 40 meters out at 10% reflectivity. “Farther sight means more than enough time to react safely, now at highway speeds,” Luminar said. In a demonstration early this week, Luminar showed how its lidar detects objects at 200 meters and at 10 percent reflectivity. Luminar integrated its lidar into autonomous cars such as Tesla and BMW. Austin Russell, founder and CEO of Luminar, told the MIT Technology Review that the reason why Luminar’s sensor has longer range is because the company uses a longer wavelength of light compared to other vehicle sensors today. 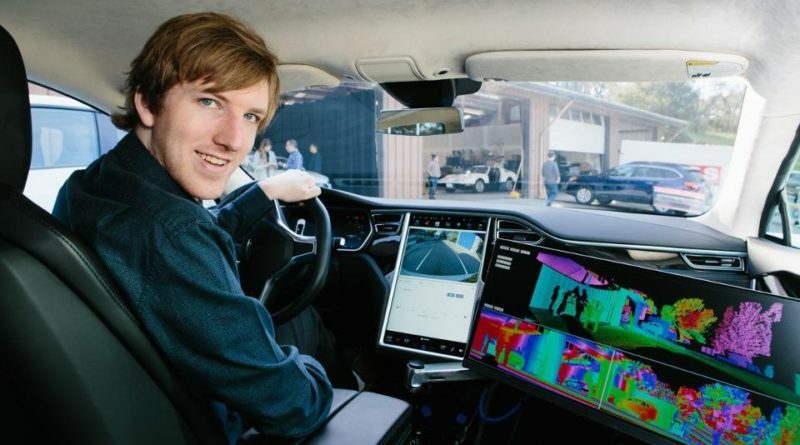 “For highway driving you really want to see far,” Daniel Morris, an assistant professor at Michigan State University, told MIT Technology Review. An additional 100-meter eyesight would give the autonomous vehicle’s software an extra three seconds to react when it sees an obstacle when traveling at 70 miles an hour.